Nutrient functions often depend on those of other nutrients and/or bioactive compounds. These critical nutrient-nutrient interactions are often overlooked in observational studies and challenging to address in randomized clinical trials. As dietary guidance is issued to the general public primarily in the form of food components of the diet, such nutrient-nutrient interactions merit consideration in understanding the functions of a given nutrient. Vitamin E is no exception. 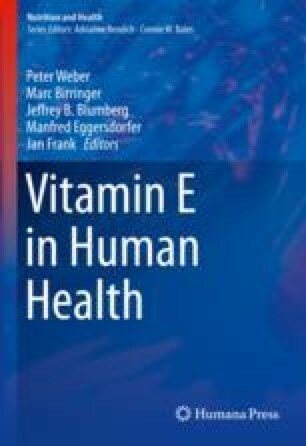 An adverse interaction between vitamin E and another fat-soluble vitamin, vitamin K, was first detected over 50 years ago. Given both nutrients’ critical involvement in coagulation, in extreme cases, this interaction can result in abnormal blood clotting. There is also emerging evidence that vitamin E interacts with other bioactive compounds.